Narrow Width Slitting Machine(FSL-J) - HCI Converting Equipment Co., Ltd.
For all kinds of high grade thin paper, cellophane, plastic film, and aluminum foil. Especially suitable for positive, and negative foils of condenser and electrolyze paper. 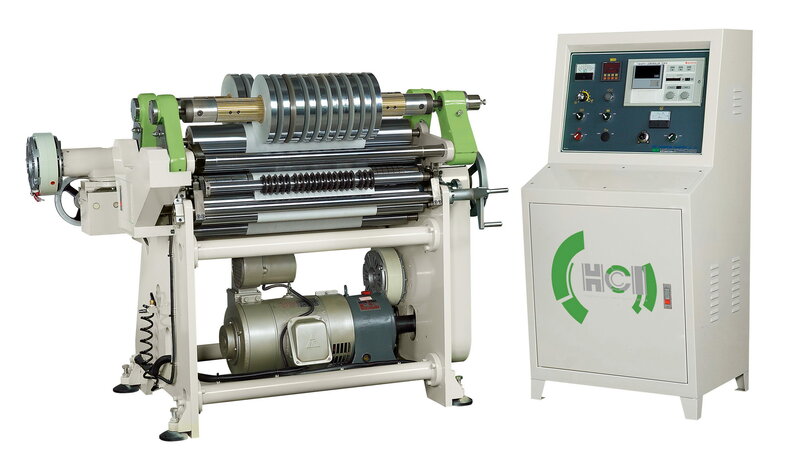 For slitting electronics, computer and optical materials, film roll and foil roll. This compact design occupies minimal floor space. Swing out & fixed type unwind stand with 3" air shaft. Single operator is required to manipulate and load the parent roll. The rollers are tightly arranged to decrease tolerance of cross and longitudinal winding of material. The speed can be easily varied to accommodate tension difference caused by the changing diameter of the winding material. The winding and feeding motions are driven by a universal satellite gear transmission. Special size of rewind shaft. Unwind Core Inner Diameter 3"